Have I mentioned that I love Medina Ohio photography sessions?? Oh my goodness! These girls! So incredibly sweet and adorable. I mean really. I met Lucy’s family when her big sister was a newborn. 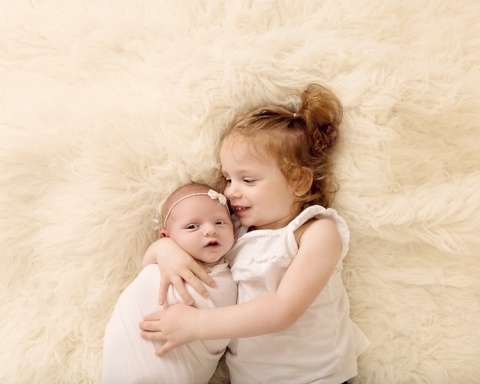 She looks EXACTLY like her sister did, with a full head of red hair and the sweetest little face. So when I met her, it was just like deja vu! Oh, and of course I love her name too, my youngest’s name is Lucy. And the red hair. But I’m totally partial there. 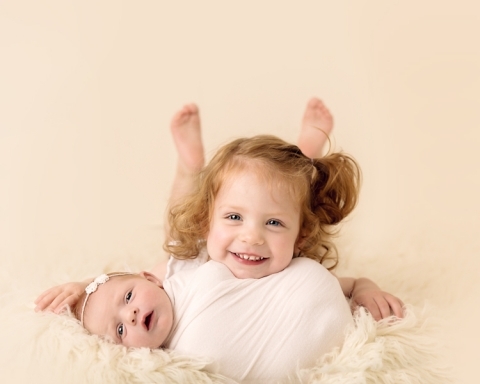 You can check out her sister’s newborn session here. Her big sister was so willing to have her photos taken and listened so incredibly well for only being two. She hammed it up and snuggled on her sister like a pro. Watching this family grow is really such an honor, I love their mom and dad too. I feel like my clients are friends, we get to know each other over the years and that’s really the best kind of relationship! Simple set ups like these are almost always my favorite! It brings the attention right to where it needs to be, on the sweet little miracle of new life. Oh my goodness, the grey craze! I have to say that I love it on girls too! 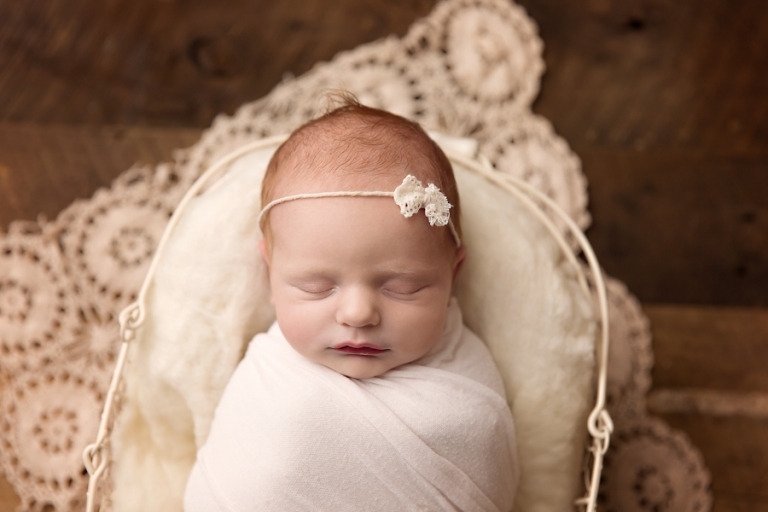 How cute is this headband by Baby Bliss Props? Love their stuff! A little pop of soft color on a white blanket….swoon! If you know me, you know that’s totally my style. Love this tieback by Creating Carli. Thank you so much for stopping by the blog! Looking for Medina Ohio photography? 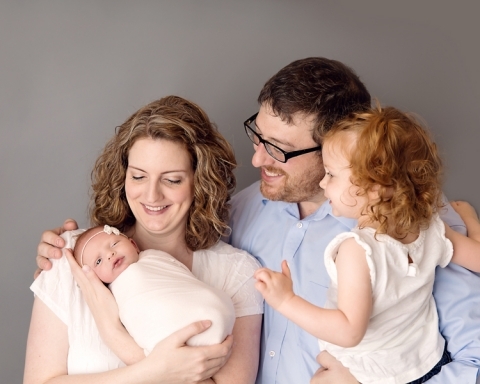 Please check out the portfolio and the newborn session information. If you are interested in learning more information or scheduling a session, please contact Mary to chat about creating your custom session today.